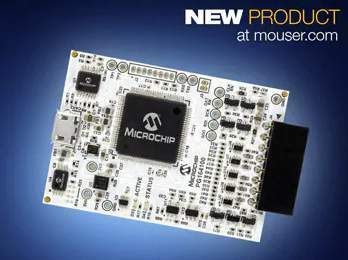 Mouser Electronics, Inc. is now stocking the MPLAB Snap in-circuit debugger and programmer from Microchip Technology. 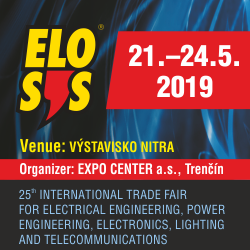 The MPLAB Snap provides affordable, fast, and easy debugging and programming of most PIC®, AVR® and SAM flash microcontrollers and dsPIC® digital signal controllers (DSCs), using the powerful graphical user interface of MPLAB X integrated development environment (IDE). The Microchip MPLAB Snap board, available from Mouser Electronics, features a powerful 32-bit 300 MHz SAM E70 Arm® Cortex®-M7 based microcontroller for quicker debug iterations. The debugger system executes code, like an actual device, because it uses the target device's built-in emulation circuitry, instead of a special debugger chip. 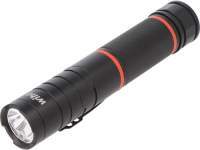 All available features of the device are accessible interactively and can be set and modified by the MPLAB X IDE interface. Additionally, the board matches the silicon clocking speed of the target device, allowing engineers to run programs at the device's maximum speed. The board connects to a computer via high-speed USB 2.0 interface and can be connected to the target device through an 8-pin single in-line (SIL) header. The connector uses two device input/output (I/O) pins and the reset line to implement in-circuit debugging and In-Circuit Serial Programming™ (ICSP™) capability. Along with its support for a wide target voltage range of 1.20V to 5.5V, the MPLAB Snap supports advanced interfaces such as 4-wire JTAG and Serial Wire Debug with streaming data gateway. It is also backward compatible for demo boards, headers and target systems using 2-wire JTAG and ICSP. To learn more about the Microchip MPLAB Snap, visit www.mouser.com/microchip-mplab-snap. Mouser Electronics, Inc., the New Product Introduction (NPI) leader empowering innovation, is now stocking the NXH3670 wireless gaming headphone solution from NXP® Semiconductors. Mouser Electronics, Inc., the industry's leading New Product Introduction (NPI) distributor with the widest selection of semiconductors and electronic components, is now stocking the DS2477 DeepCover® secure coprocessor from Maxim Integrated. Mouser Electronics, Inc., the authorized global distributor with the newest semiconductors and electronic components, is now stocking the TLE5501 XENSIV™ magnetic sensors from Infineon Technologies. 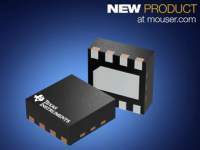 Mouser Electronics, Inc., the industry's leading New Product Introduction (NPI) distributor with the widest selection of semiconductors and electronic components, is now offering the AD7380 and AD7381 successive-approximation register (SAR) analog-to-digital converters (ADCs) from Analog Devices, Inc.
Mouser Electronics, Inc., the industry's leading New Product Introduction (NPI) distributor with the widest selection of semiconductors and electronic components, is now stocking the EFM32 Giant Gecko 12 microcontroller family from Silicon Labs. Designed to provide advanced features and security during ultra-low-power performance, the microcontrollers offers low-energy peripherals to deliver autonomous performance while sleeping. Mouser Electronics, Inc. is now stocking the STM32WB wireless microcontrollers from STMicroelectronics (ST). Supporting Bluetooth® 5.0, ZigBee 3.0, and OpenThread connectivity, the dual-core STM32WB microcontrollers are ideal for a broad range of Internet of Things (IoT) applications, including wearable devices, home security products, smart lighting, fitness and medical devices, industrial appliances, and asset tracking. Mouser Electronics, Inc., the industry's leading New Product Introduction (NPI) distributor with the widest selection of semiconductors and electronic components, is now stocking DACx1416 digital-to-analog converters (DACs) from Texas Instruments (TI). Mouser Electronics, Inc. announces a global distribution agreement with krtkl inc. ("critical"), a provider of high-performance, low-power embedded hardware and software for edge computing applications ranging from mechatronics and automation to computer vision and remote sensing. Mouser Electronics, Inc. is now stocking the PIC-IoT WG Development Board (AC164164) from Microchip Technology. Featuring a PIC microcontroller, Wi-Fi module, and CryptoAuthentication secure element IC, the PIC-IoT WG Development Board offers an ideal launching point for virtually all Internet of Things (IoT) devices and applications. The Mouser-sponsored Formula E team is heading from Mexico to Hong Kong's 1.85-km Harbourfront street circuit on March 10 for the fifth race of the ABB FIA Formula E Championship. Mouser Electronics, Inc., the industry's leading New Product Introduction (NPI) distributor with the widest selection of semiconductors and electronic components, is now stocking CC3235x SimpleLink™ dual-band wireless systems-on-chip (SoCs) from Texas Instruments (TI). 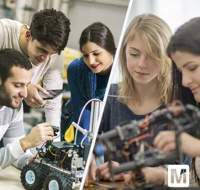 Mouser Electronics, Inc., the New Product Introduction (NPI) leader empowering innovation, is pleased to be a principal sponsor of the 17th Create the Future Design Contest, a challenge to engineers and students around the world to create the next great thing. Mouser Electronics, Inc. is now stocking the MAX22195 octal industrial digital input device from Maxim Integrated. Designed to reduce power, system cost, and size for programmable logic controller (PLC) digital-input subsystems, the MAX22195 is a highly integrated IEC 61131-2-compliant digital input device for industrial, process, and building automation applications. Mouser Electronics, Inc. is now stocking the QPF4528 front end module (FEM) from Qorvo®. Designed for Internet of Things (IoT) systems based on Wi-Fi® 6, the 5 GHz FEM offers a compact form factor and integrated matching to minimize layout area in applications such as wireless routers, set top boxes, and access points. 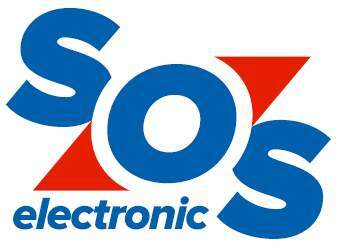 Mouser Electronics announces the newest issue of its Methods technology and solutions eZine. The first issue of volume three, Design Trends and the Transformation of Everything, looks at transformative technologies such as 5G, augmented reality (AR), autonomous vehicles, and more, with articles penned by thought leaders and subject-matter experts. 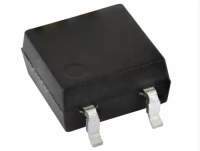 Mouser Electronics is now stocking TLV9052 operational amplifier from Texas Instruments (TI). Featuring a high slew rate and low quiescent current, the dual op amp is ideal for battery-powered motor-drive applications, as well as large appliances, photodiode amplifiers, sensor signal conditioners, and low-side current sensing. Mouser Electronics is proud to announce its sponsorship of the GEOX DRAGON Formula E Team throughout the 2018-19 racing season. Mouser is backing the team this year in collaboration with TTI, Inc. and valued suppliers Molex and AVX. This marks the fifth-straight year that Mouser and Molex have sponsored Formula E racing. The Mouser-sponsored team takes to the 2.093 km Autódromo Hermanos Rodríguez track at the Mexico City E-Prix on February 16.